*Julie recently recreated a classic scone recipe in honor of the royal wedding! *Update 2019: This blog is no longer online. Here's the the original recipe shared on another site. This week, I'm highlighting two recipes for your next camping trip! *Susan is the queen of AIP jerky making. She offers directions for the oven and for the dehydrator! *Perfect for car campers! Prep these sausage patties ahead of time and cook them in the skillet on your camp stove. 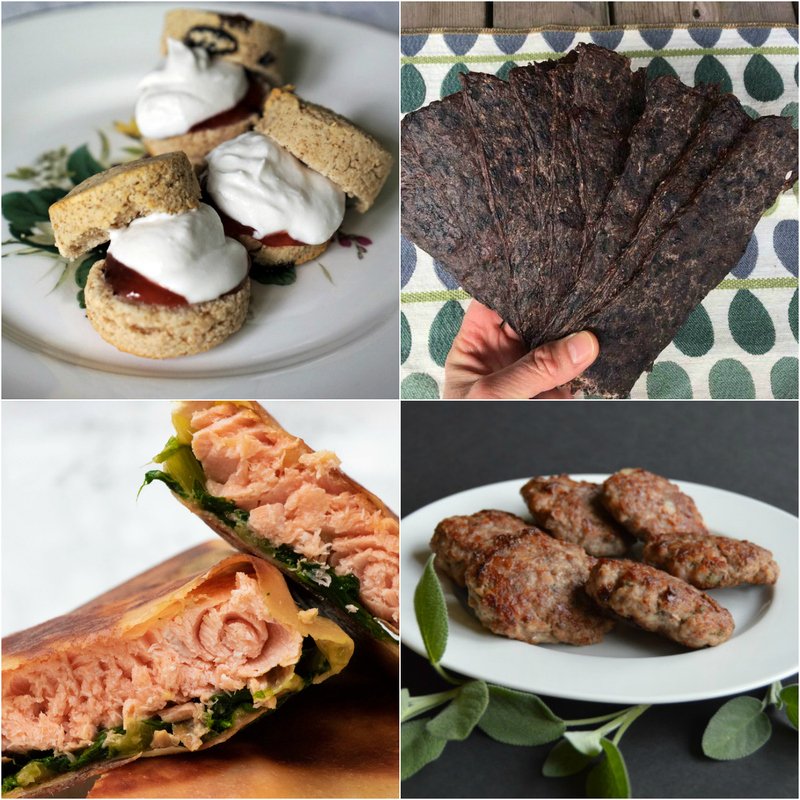 To see the favorites from this week + a whole new group of recipes, visit Roundtable #222!